Members: login using upper right icon and access member benefits! 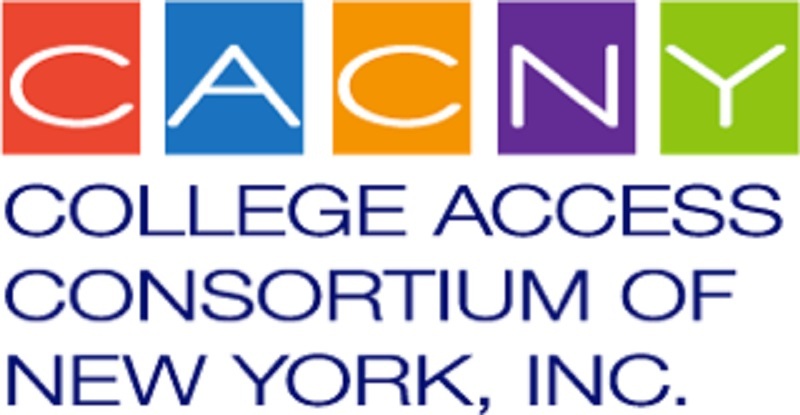 CACNY, The College Access Consortium of New York, Inc. is the leading convener of college access and success professionals representing the Greater New York area. Our constituent schools, colleges, universities, organizations and government agencies collectively work to remove systemic barriers to post-secondary access and success for underrepresented youth. CACNY engages members to impact college access and success at the city, region, and national level. Take a look below! Joining CACNY is easy. Simply click the Join Now button below. Review the membership categories and select the appropriate one for you or your organiztaion. Submit your annual dues and application - that's it! CACNY is going social. Click Icons to engage. Like us on Facebook. Tweet at us on Twitter. Network on Linkedin. Post photos with us on Instagram. Current members can also access CACNY's robust listserve via email.